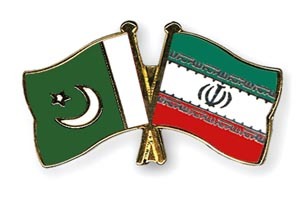 KARACHI, Aug 11 (APP): There is a headway with regard to the Pakistan-Iran Gas Pipeline project. This was stated by Iran’s Deputy Minister for Foreign Affairs, Dr. Seyed Mohammad Kazem Sajadpour, here on Thursday. He was addressing the members of the Pakistan Institute of International Affairs (PIIA). The visiting Minister further stated that a lot of work has been completed in this very regard. However, he said, Pakistan faces some financial problems with regard to the completion of this gas pipeline project. the hour in view of the prevailing circumstances. The people of the two countries also desired that this friendship should be strengthened further, he added. He opined that lawlessness and crisis situation has become a problem for almost the entire world. The United Nations should play its role seriously to tackle such negative attitudes. He opined that whatever is happening at international scene, has an impact on the neighbouring countries and for its resolution process of negotiations is necessary. The Minister also stated that Iran advocates the unity in the Muslim Ummah. He said that Iran wants to strengthen ties with Pakistan in various sectors.